A traditional lemonade stand helps youngsters fill their piggy banks, but one such stand in the South Bay on Sunday helped raise funds to find a cure for a medical condition that hampers children across the world. 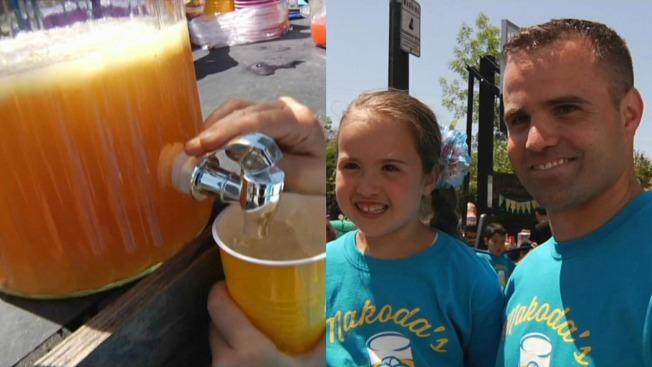 For the second straight year, Makoda Daszko of San Jose pitched together a booth, dished out cups of the sweet drink and collected dollars upon dollars all in the name of raising money to combat Type 1 diabetes, an ailment that she herself suffers from. "We're celebrating the chance for a cure," Tim Daszko, Makoda's father, said. Last year, Makoda Daszko raised roughly $5,000 for the Juvenile Diabetes Research Foundation. That event wasn't publicized, but hundreds of lemonade drinkers took notice. The goal Sunday was to surpass that number by leaps and bounds. "Every little bit helps," Tim Daszko said. "We're just trying to focus on helping out JDRF the best that we can." No word yet on much money the family was able to collect. Anyone wishing to learn more about Type 1 diabetes or donating is encouraged to visit JDRF.org.